Shop drawings are detailed construction and fabrication drawings produced by the contractor, supplier, manufacturer, subcontractor or fabricator under their contract with the owner that show the proposed material, shape, size, and assembly of the parts and how the system/unit would be installed. Because of using as construction “instruction” at the site, shop drawing must ensure the highest accuracy; otherwise it can cause a large of lost for adjustment or rework. Therefor the design drawings have to coordinated and issue all of clashes for error-free after export to shop drawing for construction. We will help client highlight clashes in the time of submission and check each shop drawing for precise measurements and for compliance with the intended building design. Shop drawings for fabrication require at least of LOD 400 that enable to explain the fabrication and/or installation of the items to the manufacturer’s production crew or contractor's installation crews. The style of shop drawing is usually very different from that off the architect’s drawing. The shop drawing’s primary emphasis is on the particular product or installation and excludes notation concerning other products and installations, unless integration with the subject product is necessary. We help contractors and fabricators to produce shop drawing for architectural components, such as: curtain wall, Windows, Storefront, Façade, Landscape, flat slab, Stair,… Our productions apply strictly with manufacturer’s standard and recommendation of software vender. 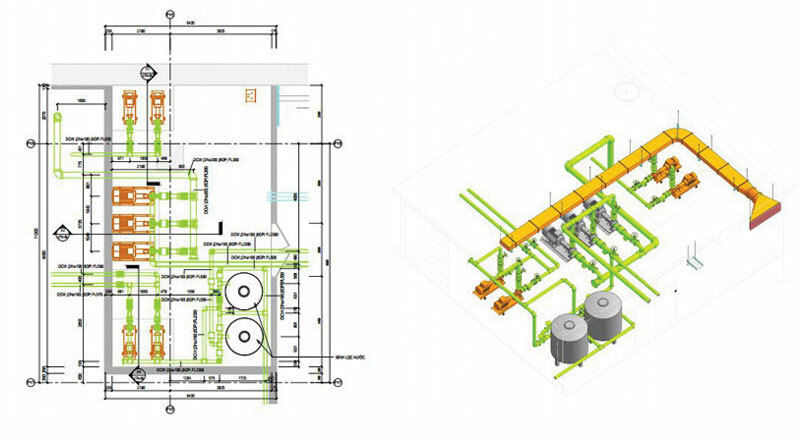 The shop drawings created by ViBIM apply strictly with manufacturer’s standard and illustrate the physical appearance of the structures, connections between system, equipment, and on-site changes. We offer tailored shop drawing service to particular demands and requirements of client. Please don't hesitate to leave your requirement to email: info@vibim.com.vn for more samples and information about this service.